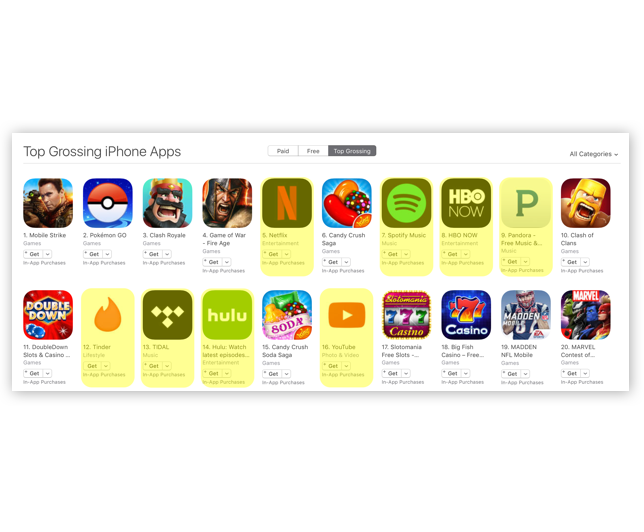 For certain apps, subscriptions are the core business model, and the key to profitability. In many cases, that starts with a free trial. Amazon and Netflix are successful at driving users from a free trial to full subscriptions; others are not and need to improve. A 1% change can impact revenue substantially Imagine what 10-20% could do? Taking control of your app’s activation and conversion process is the key to success here. 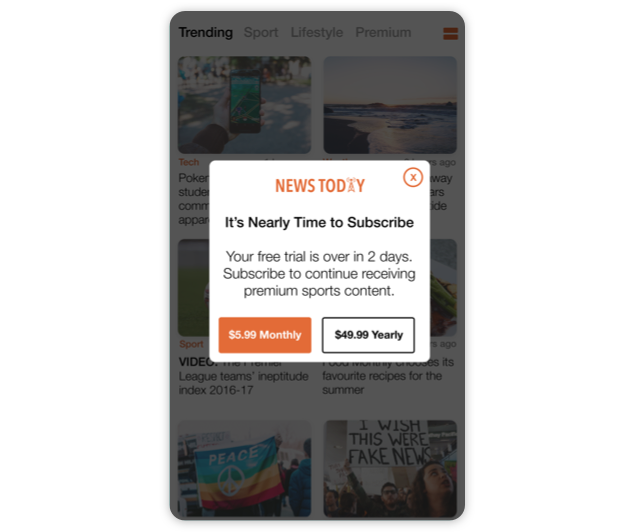 This means getting users to sign up for a free trial, and then nurture this relationship into a fully fledged subscription. This is best done at scale using a marketing automation solution to orchestrate campaigns. The best time to get a user to activate a free trial is during their first session. A stand-alone onboarding process is your opportunity to introduce and ‘sell’ that trial as effectively as possible. Show the users the value they will get from a free trial, and ultimately a subscription. Include a free trial offer in a welcome tour. And if that doesn’t work, allow your users to find their feet in your app before serving an in-app message with another free trial invitation. 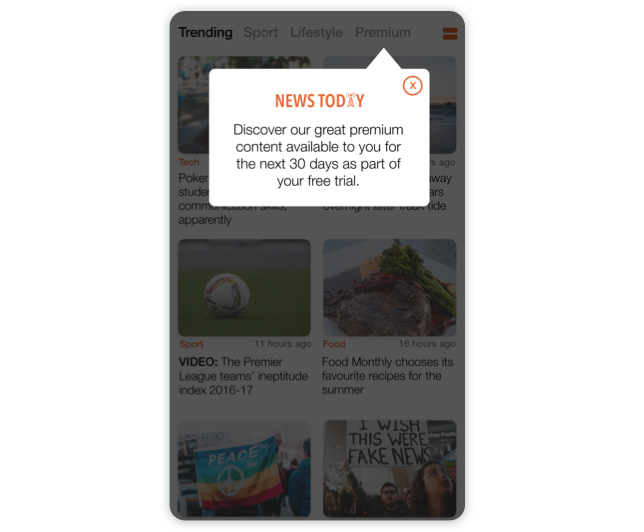 Once a user has signed up for a trial, make sure they have a clear understanding of the full range of features (premium video content, longform articles etc) now available to them - and by extension available permanently after subscription. Use tip-overlays to point out these key features when the time is right, to users who have not yet discovered them. Free trials do not make money for your business - subscriptions do. Don’t just hope that people will subscribe. Deliver campaigns that ‘sell’ your subscription. Manage engaged users with in-app messages towards the end of their trial, encouraging full subscription. Segment users based on their behavior, and notify them that their favourite features - the ones they use every day - will not be available unless they subscribe. Keep your subscription plans simple - the fewer options available the better. Conversion rates plummet with any kind of complexity as users like decision simplicity. A/B test different price plans and layouts to determine definitively which ones generate the most revenue, and remove any friction that complicates the process (multiple forms etc). It’s no coincidence that the top grossing media apps all use auto-renewable subscriptions as their core business model. 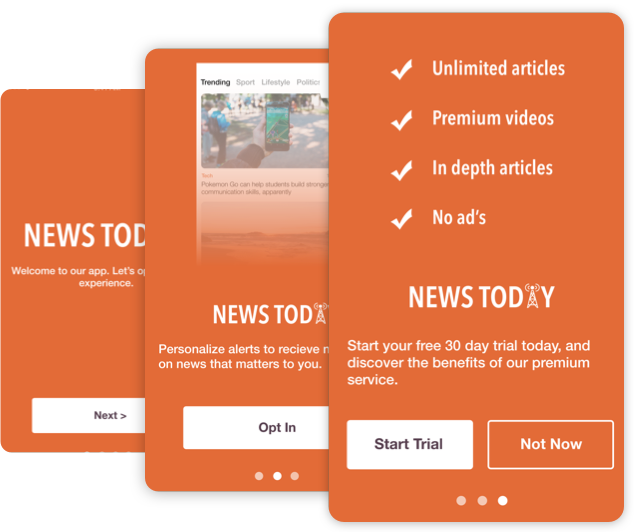 Consider automatically moving users from trial to subscription unless they actively opt-out, but ensure you communicate this clearly. Similarly, if in doubt use the App Store to collect payments. Yes, it means a reduction in potential revenue, but it also delivers frictionless ‘native mobile’ purchasing. 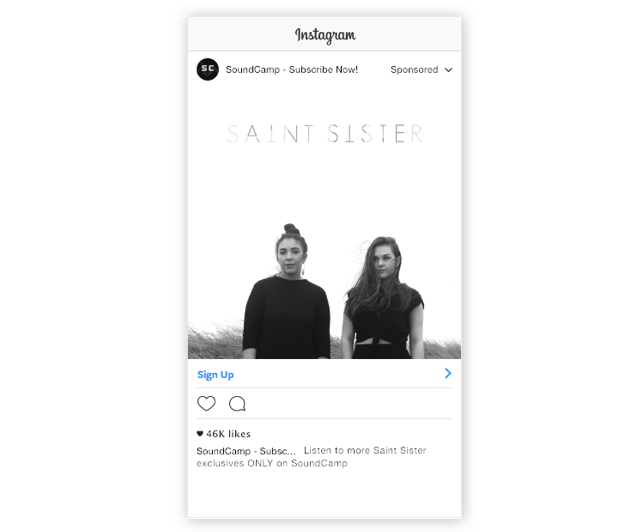 While in-app messages and push notifications are key to communicating with your mobile users, they should not be solely relied upon or overused. Share data with conventional marketing automation platforms and email to the party. And consider retargeting - particularly if users churn during a free trial. Ask customers who are unsubscribing for the reason why using an in-app survey. You may be surprised at the results. Knowing why users churn can help maximize the number who subscribe in the first place. One Swrve customer avoided a costly price drop when they learned that storage space was the real issue causing churn and lowering subscription rates.